Our Large crystal decanter with logo comes in a satin lined presentation box. It's print area is 55mm x 90mm and a whole size of 230mm. 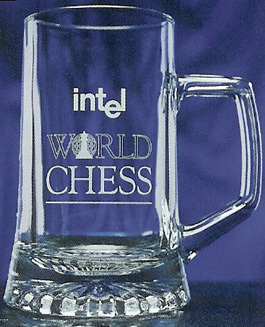 We also have crystal glasses available to go with this product also available with your business details engraved upon. We have alot of new departments opening here at Calendar Lady Promotions which includes our Crystal items with logo. 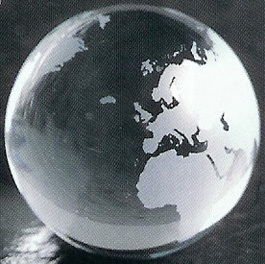 Our Solid optical crystal globe with logo is an optical crystal 80mm globe paperweight personalised in the atlantic ocean. All of our Crystal items with logo has plenty of print space to have your business details and company logo engraved upon to ensure that your business will always be advertised. We have Crystal paperweights available round or oval. Print area: 65mm in diameter. Our Large crystal tankard has a print area of 60mm x 80mm with a whole size of 145mm. All of our crystal items with logo have enough room to have your details engraved to keep you advertised. Other promotional and personalised items besides our Crystal items with logo click here. To find out more about our Crystal items with logo click here and fill in the contact form and we'll get straight back to you.